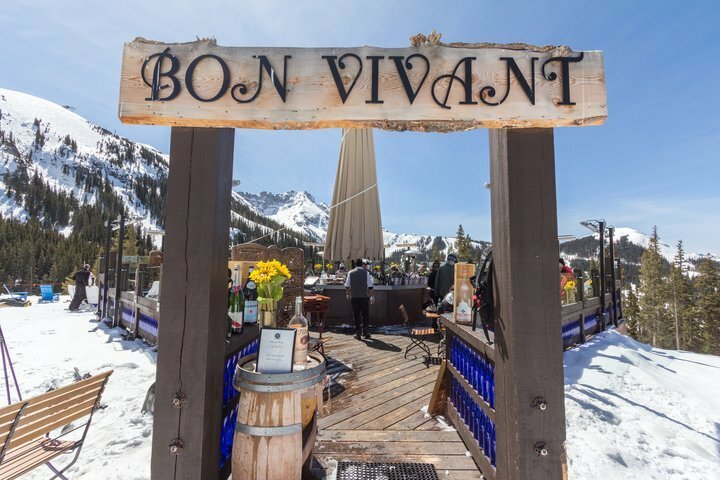 Bon Vivant is one of Telluride’s many on mountain-dining options. 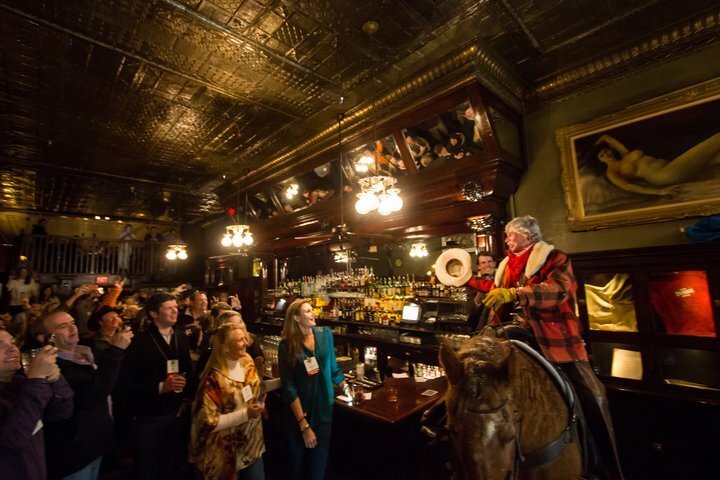 Long time local cowboy, Roudy Rodebush is known for his scenic horseback tours, cozy sleigh rides and of course his occasional appearance at the Sheridan Old Bar with one of his trusted horses, like Jesse here! 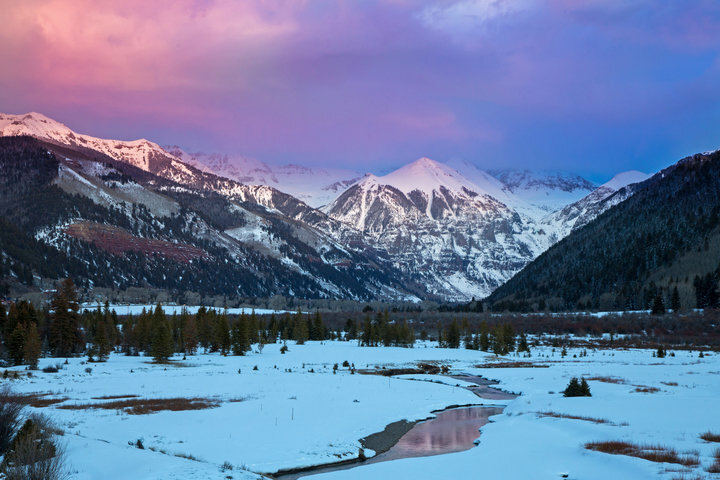 When the snow flies, Telluride transforms into a winter wonderland. 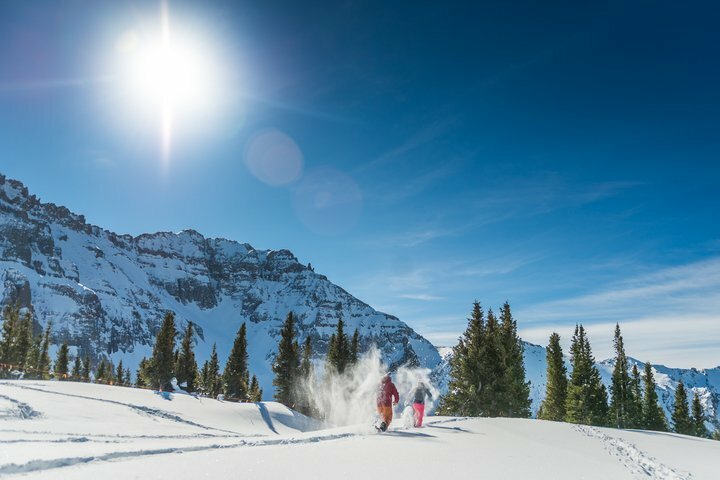 Telluride’s backyard offers a variety of outdoor adventure like snowshoeing. 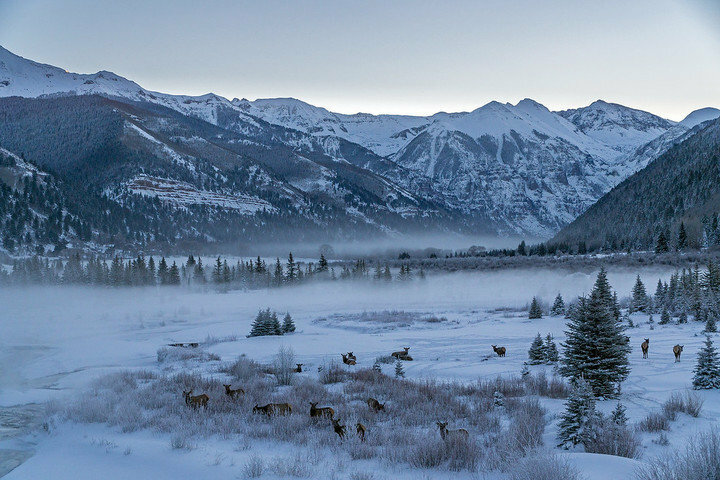 Herds of elk can often be spotted grazing on Telluride's Valley Floor. 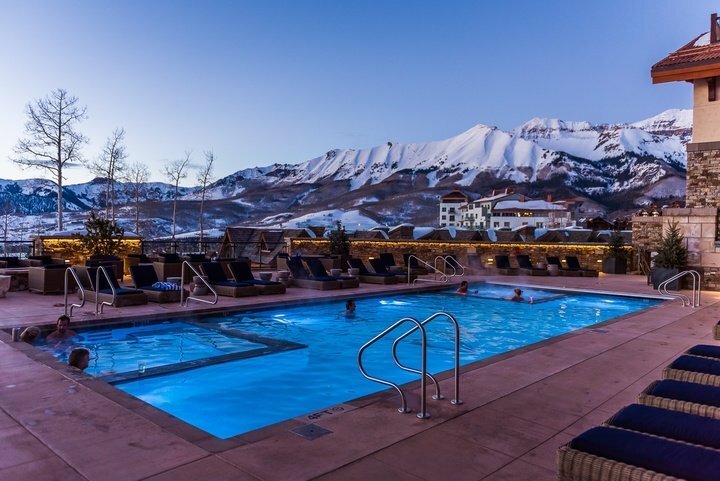 After a long day on the mountain, dipping into the Madeline’s hot tub and pool is the perfect way to end the day. 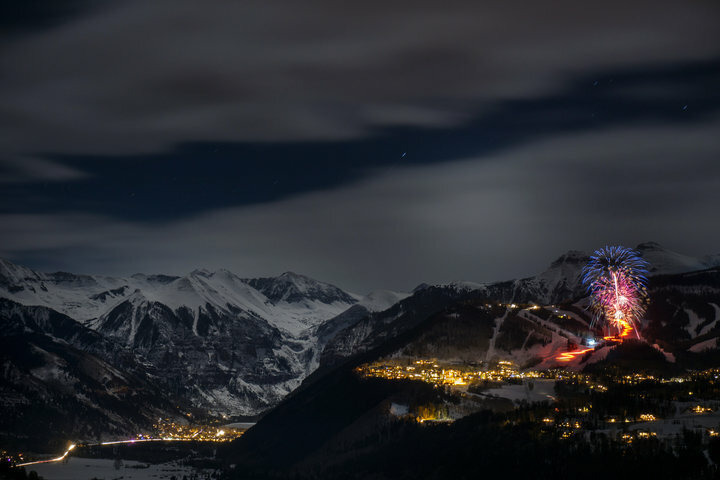 Fireworks and a torchlight parade kick off Telluride’s New Year’s Eve celebration. 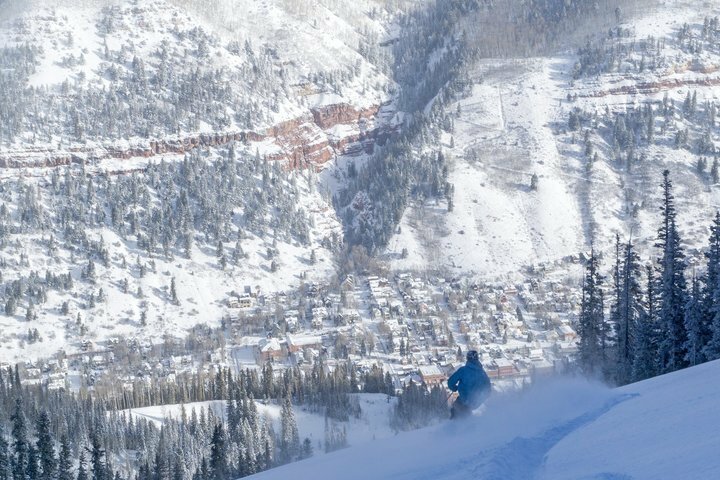 Telluride’s hike-to terrain off Bald Mountain offers fresh turns on a powder day. 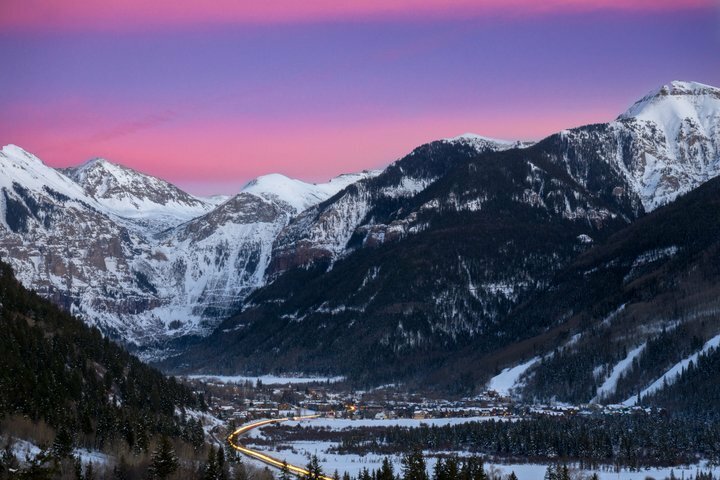 Telluride offers a vibrant nightlife with shows, bars, restaurants, concerts and more. 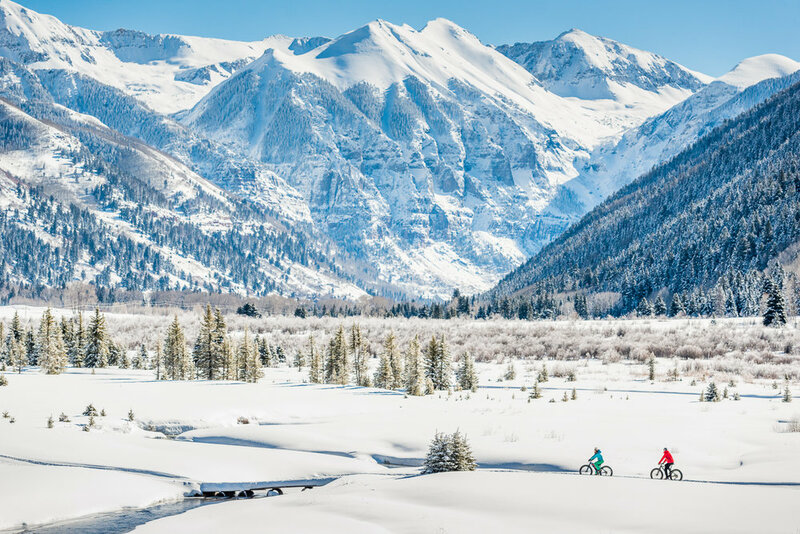 The Valley Floor is the gateway to Telluride, a 3-mile stretch of open space with Nordic and fat tire bike trails. 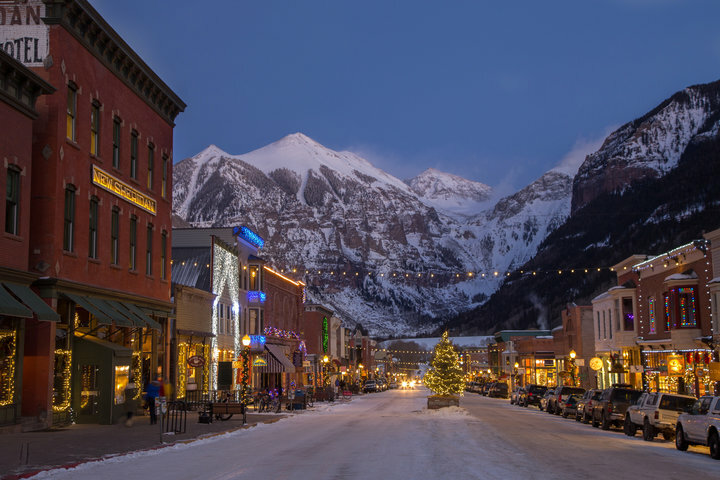 Main street Telluride looks festive over the holidays decked with garland and white lights. 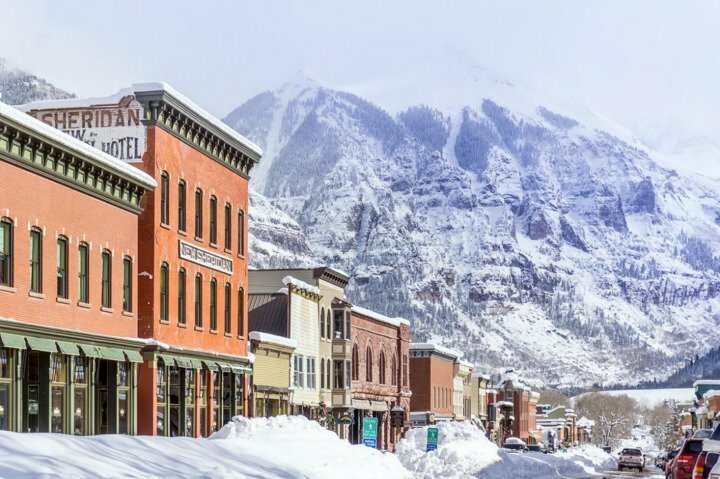 A ski vacation to Telluride offers the best of two worlds: a historic mining town nestled below the newer European-style Mountain Village. 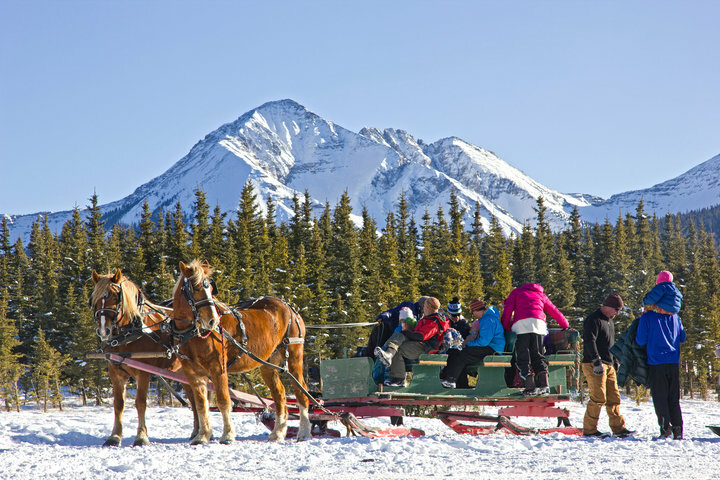 Sleigh rides offer fun for the whole family. 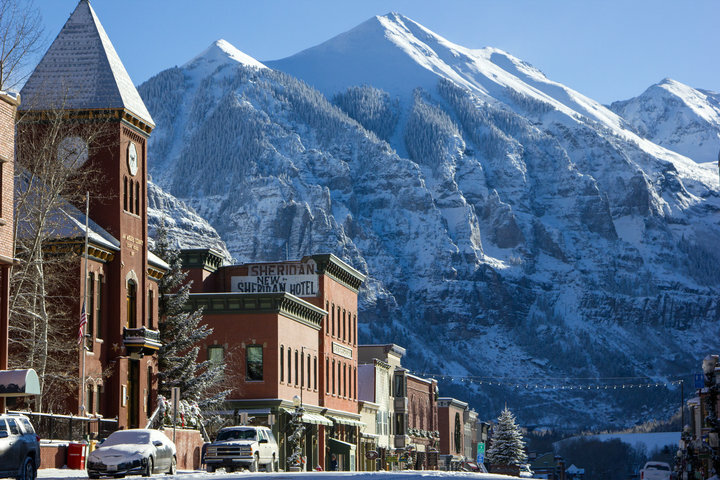 Telluride was established in 1878 as a mining town. Its original name was Columbia. 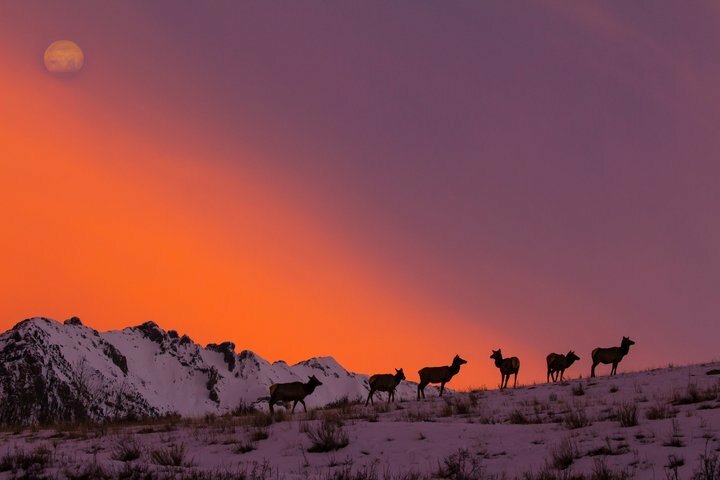 Elk are often spotted on the high meadows below Wilson Peak and on the Valley Floor. 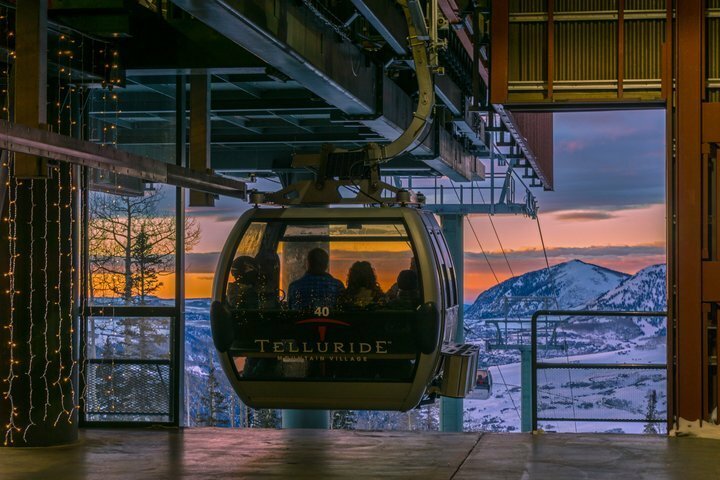 The free gondola runs daily from 6:30 am to midnight and connects Telluride to Mountain Village. 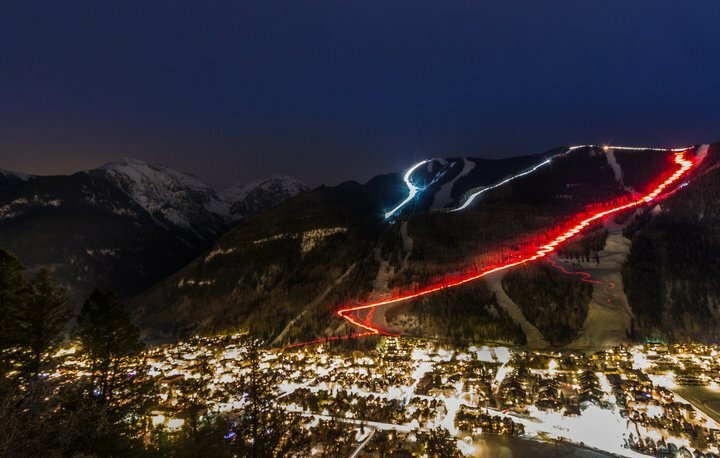 A Christmas Eve and New Year’s Eve torchlight parade are fun holiday traditions in Telluride. 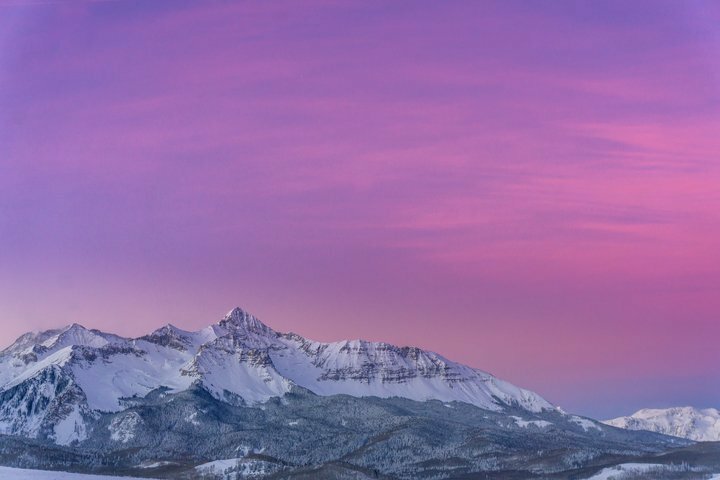 Wilson Peak is one of the many 14,000-foot peaks that surround Telluride. 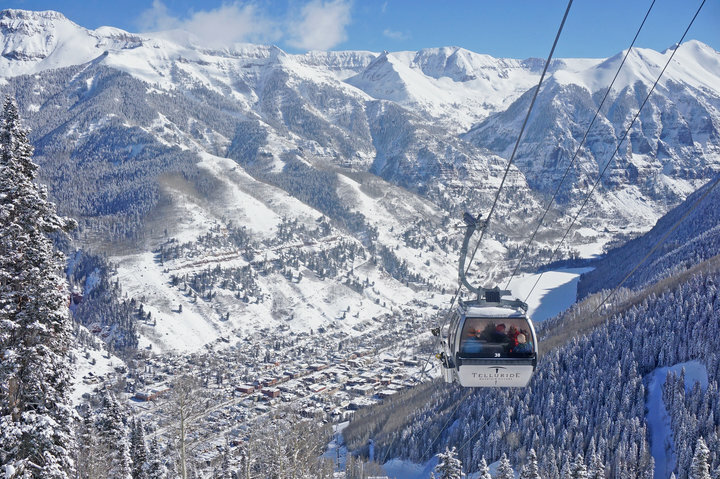 Telluride’s Gondola is the only free transportation system of its kind in North America. 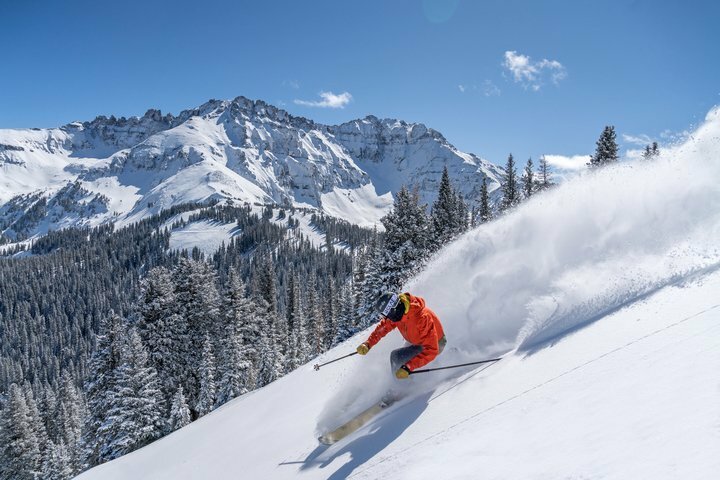 Telluride's Revelation Bowl on a powder day is a sublime experience. 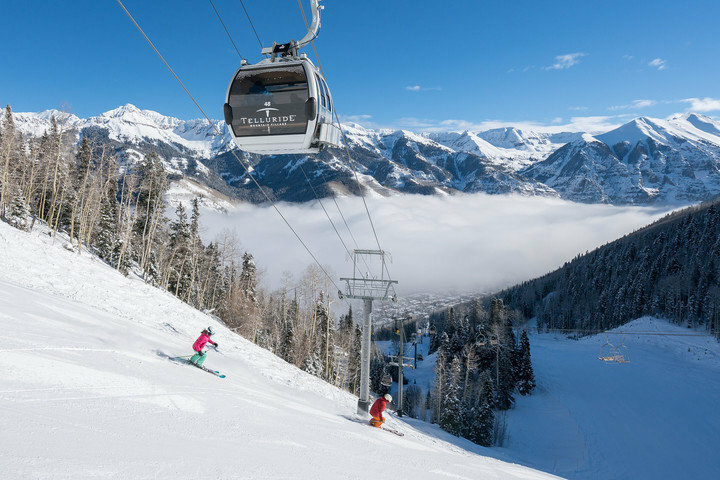 Telluride's Prospect Lift offers stunning views of a wide variety of intermediate runs. 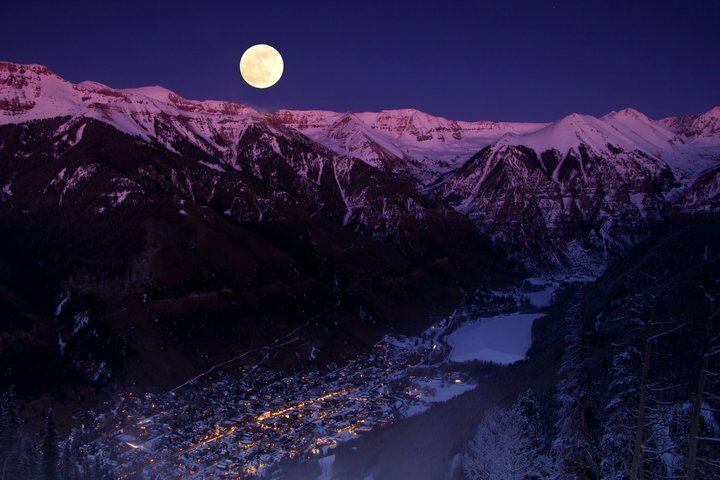 Telluride is nestled in a box canyon, surrounded by the greatest concentration of 13,000 and 14,0000-foot peaks in North America. 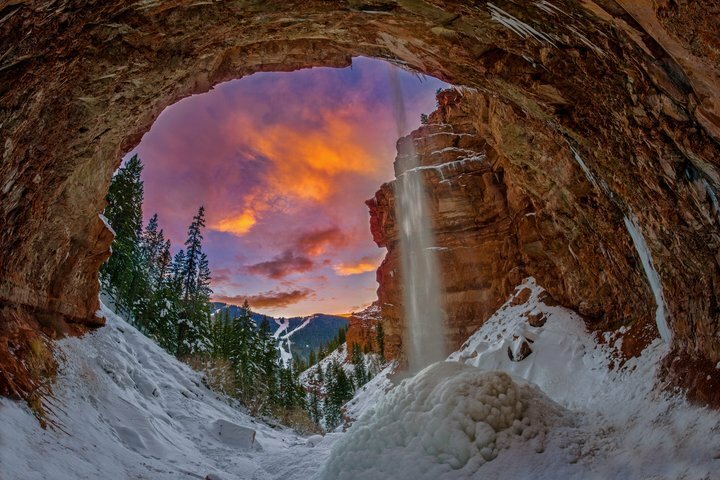 Coronet Creek Falls, just a short hike from Telluride, showcases great views of the ski area. 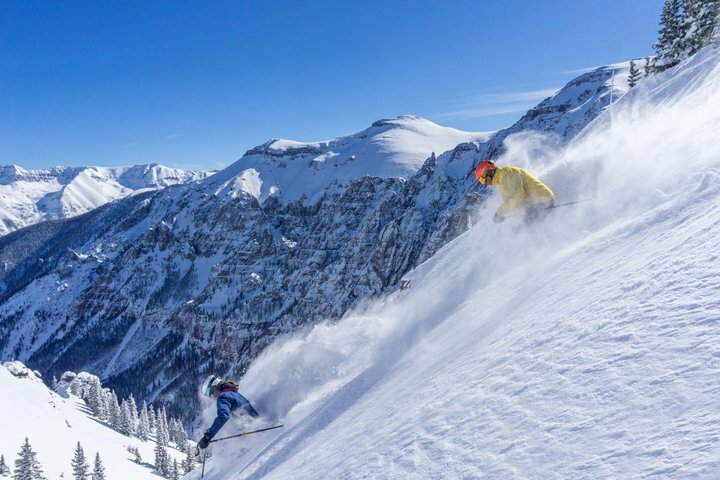 The steep pitch of Milk Run is a favorite amongst Telluride locals and guests. 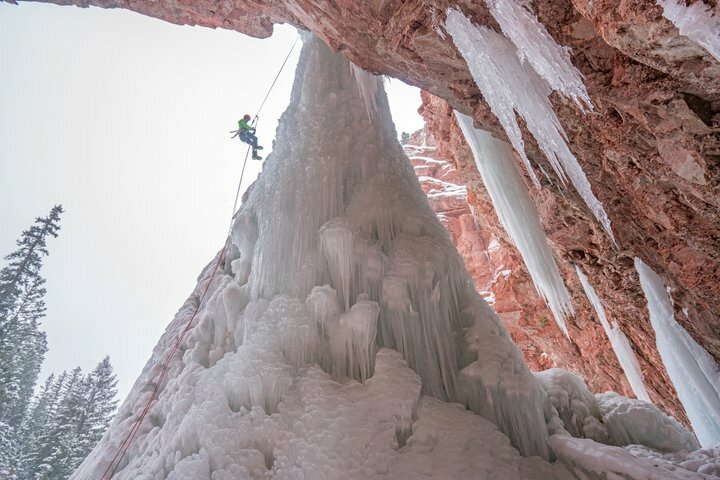 Ice climbing is just one of the many off slope adventures offered in Telluride. 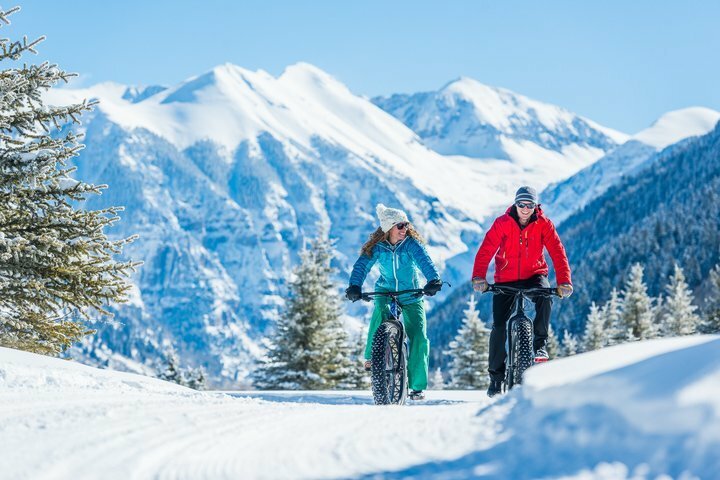 If you are looking for a break from the slopes, fat tire biking is the perfect outdoor adventure in Telluride. 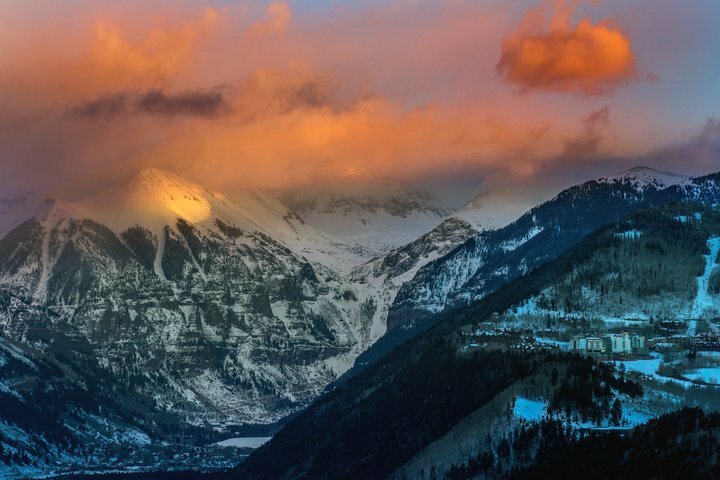 Telluride offers some of the best hike to terrain in the country. 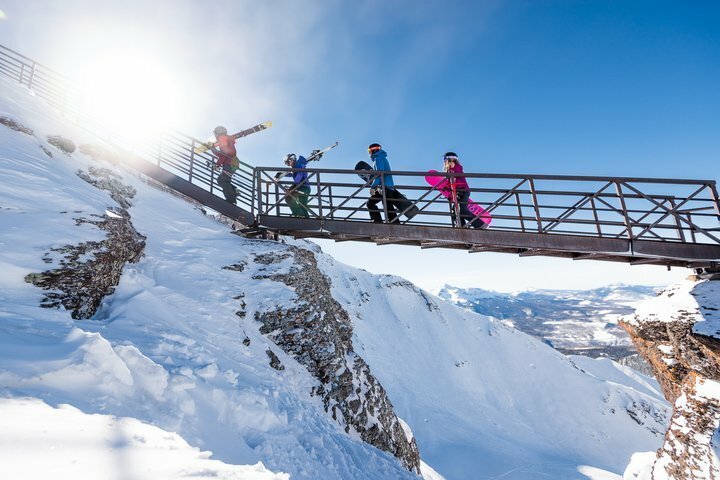 Gold Hill Chutes 9 & 10 are accessed by a steel bridge and staircase. 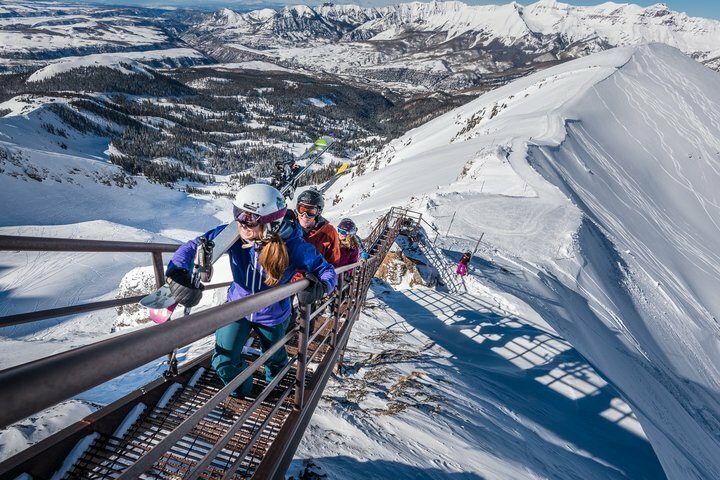 Part of the adventure of skiing Telluride's Gold Hill Chutes 9 & 10 is accessing the terrain via a steel bridge and stair case. 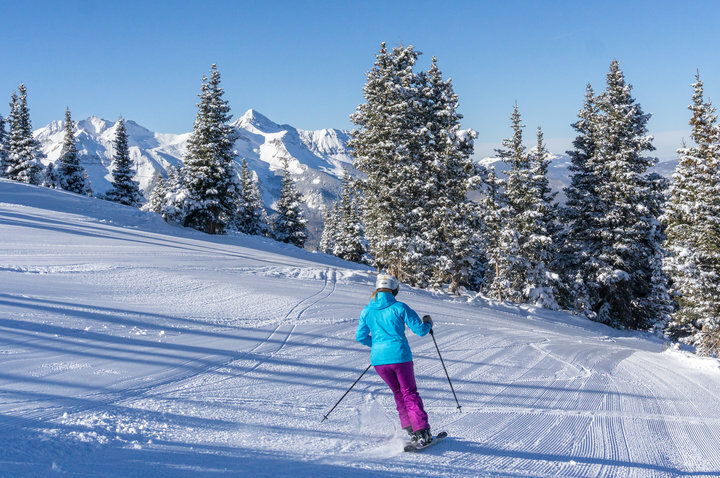 Telluride has a variety of groomed trails for Nordic and classic skiing. 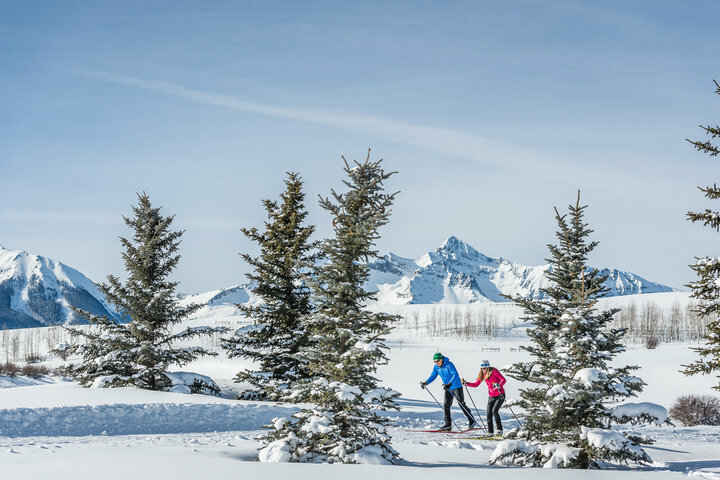 Options include Town Park, the Mountain Village Golf Course, Trout Lake and Priest Lake. 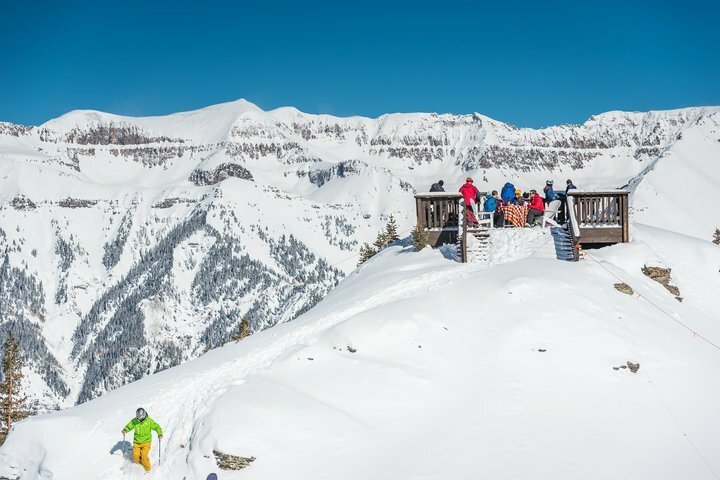 The deck at the bottom of Revelation Bowl is a sweet spot for a picnic lunch before dropping in. 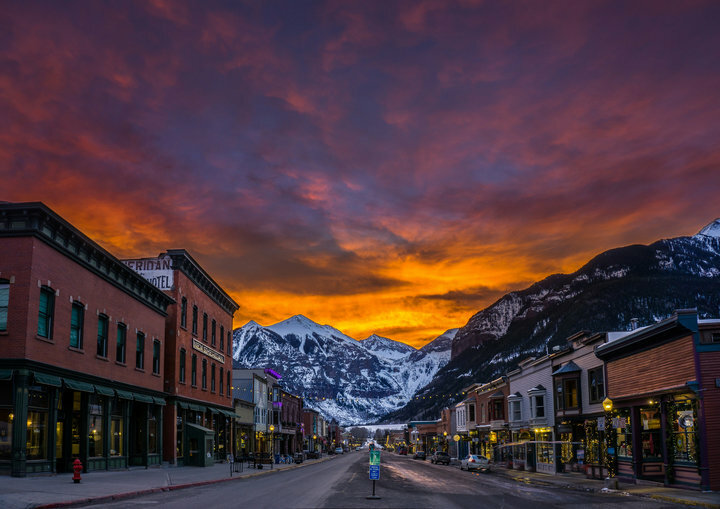 Surrounded by the largest concentration of 13,000 and 14,000-foot peaks in North America, Telluride is stunningly beautiful. 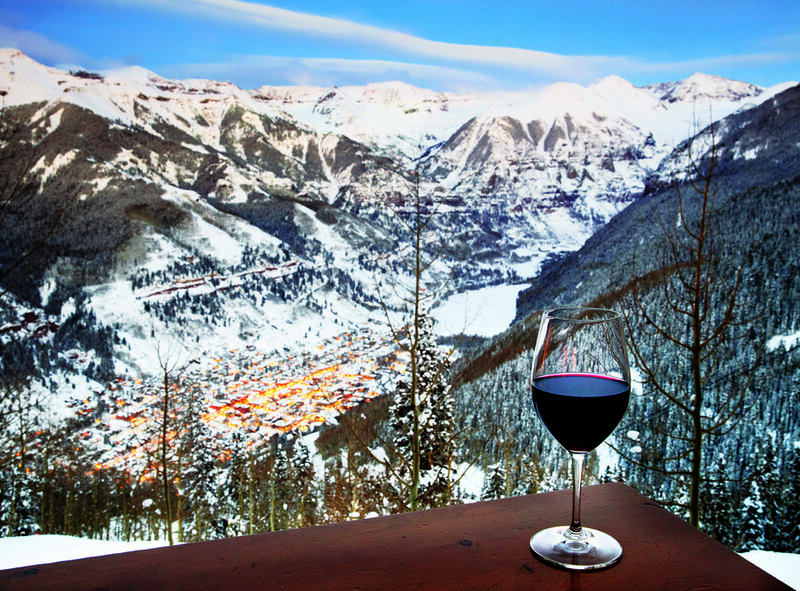 The Plunge at Telluride serves up a steep pitch and views of town below. 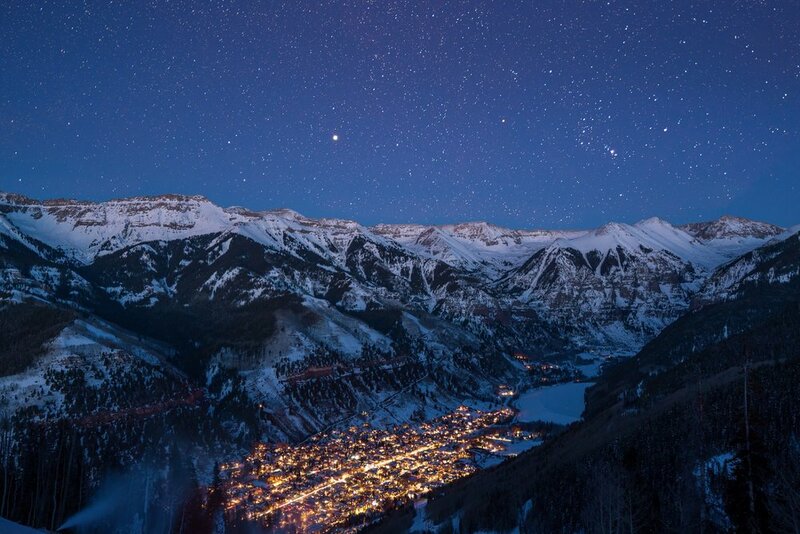 Pretty much every view in Telluride is postcard worthy. 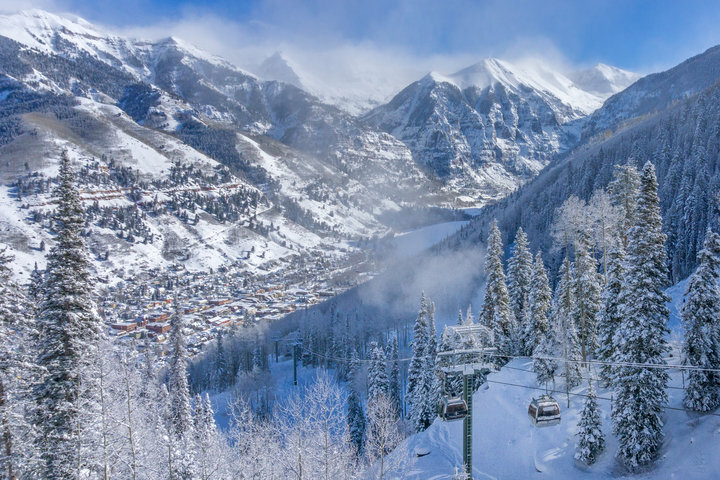 It is true that unspoiled Telluride, perched in a stunning box canyon surrounded by the highest concentration of 13,000- and 14,000-foot-peaks in North America, frequently wins accolades for its scenery. But wait until you get here.